Duesenberg-kitarat ovat nyt saatavilla Nordsoundilta! Duesenberg-soittimet ovat jälleen saatavilla Suomessakin. Duesenbergit voi tilata Nordsoundin kautta – klikkaa TÄSTÄ. Ever wondered what the Fishman Aura F1 system installed on some Martin-guitars sounds like? My pal Sami got a DCPA3 as his birthday present the other day, and he recorded a short demo of all nine Images for us. The sounds you’ll hear are recorded direct, using Image at full and no EQ. The Aura F1 offers nine Images, which use convolution and modelling technology to transform the relatively bland tone of a piezo transducer into the lush timbre of an acoustic guitar recorded with a quality microphone. 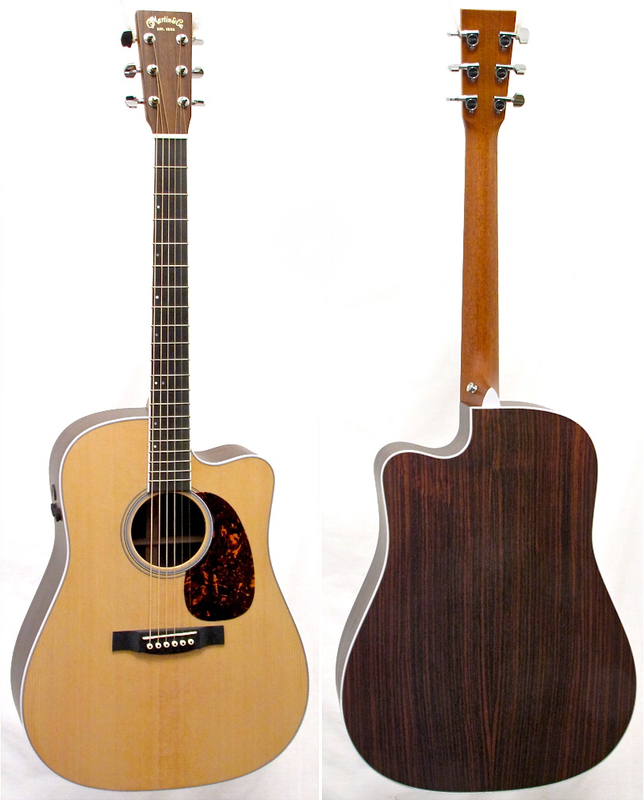 For more info on the Martin DCPA3 go here or here. Uskon kuitenkin, että lähes jokainen meistä voisi (ja ehkä pitäisikin) kokeilla oman kitaran tai basson ”rakentamista”. En puhu mistään puuaihiosta aloittamisesta, vaan siitä että kasaa oman soittimensa ostetuista osista. Kasasin tämän kitaran – voidaan nimetä sitä ”Berka T” -malliksi – vuonna 2004. Halusin saada selvillä, millainen soitin syntyy juuri edullisista aineista. Hankin kaikki Berka T:n osat SP-Elektroniikalta, tähtäimessä oli sellainen ”riisuttu” öljy-ja-vaha-meininki perloidipleksillä. Runko on kolmesta leppäpalasta, joiden syykuviot ei ole yhteensovittu – tämä on tavallinen käytäntö edullisissa runkoissa. Rungon muotoilu on tyydyttävä ja työnjälki oli siisti myös kolojen ja kanavien osalta. Ainoastaan hieman liian kapeaksi jäänyt kaulatasku oli pikkuisen yllättävää. Sain kuitenkin kaulaa asennettua ongelmitta suoraasti runkoon, mutta tällaiset jutut voivat tapahtua edullisilla osilla tai jos osat eivät ole peräisin samalta valmistajalta. Kaula on vaahteraa, kun taas otelautaan on käytetty kauniisti kuvioitu palaa sonokeling-palisanteria. Otelaudan radius on vintagea loivempi. Keskikokoiset nauhat on istutettu riittävän huolellisesti ainakin käyttämäni kieltenkorkeutta varten. Kaulan kiinnitys taas on hyvinkin perinteinen – neljä ruuvia sekä teräksestä tehty kaulalevy. Sekä talla että mikrofonit ovat peräisin Gotoh:n mallistolta: nykyaikaisessa tallassa on paksu pohjalevy sekä kuusi yksittäistä tallapalaa. Mikrofoneissa on pitkä, keraaminen tankomagneetti liimattu kelan alle, eikä vintage-tyylisesti kuusi lyhyttä alnico-magneettia. Minun piti viilata tallamikin kansilevyä hieman kapeammaksi, koska se ei sellaisenaan sopinutkaan tallan aukon läpi. Jälleen yksi edullisista osista syntynyt pieni mutka matkassa. Berka T -projekti ei ollut minun ensimmäinen kokeilu, joten kytkinnän juottaminen ei ollut mitenkään ongelmallista. Jotkut valmistajat tarjoilevat myös rakennussarjoja, joissa ei tarvita juotoskolvia, niin kuin TÄSSÄ. Kolmiasentoinen kytkin oli yllättäen hieman liian iso rungon koloa varten. Poistin taltalla varovasti vähän puuta kolon pohjasta, ja sain lopulta kannen kiinni. …mutta epäonnistuin pahasti kielikanavien poraamisessa ja holkkien asentamisessa. Ensi kerralla pitäisi käyttää sapluunan sekä poraustelineen! Kaikki kaikessa olen melko tyytyväinen valmiiseen Berka T:hen! Sen osat maksoivat hieman yli 300 €, mutta opin jälleen kaikenlaista tämän projektin kautta. Kitaran soitettavuus on ihan OK, vaikka kaulaprofiili voisi mielestäni olla pyöreämpi ja hieman paksumpi. Edullisista Gotoh-mikeistä lähtee yllättävän hyvä soundi, vaikka ne ovatkin vähän vintagea – twängiä kuitenkin löytyy. 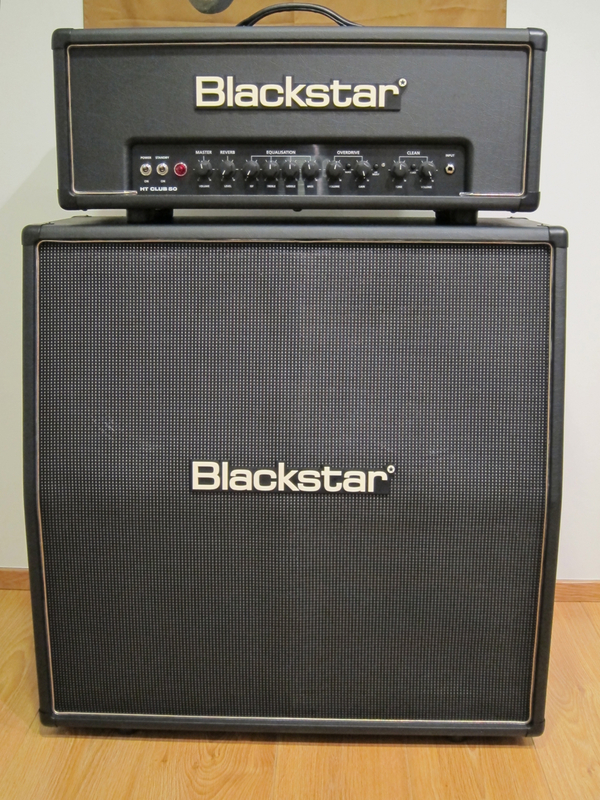 Blackstar is one of the hottest guitar amp companies around at the moment. Their first Series One -heads have found their way into many a professional’s back line, due to their muscular tone and extreme versatility. Their more recent sweet little HT-5 and HT-1 combos can already be found in many studios and living-rooms around the globe. New from Blackstar comes the HT-Venue-range. This series promises to offer more affordable amps that still aim to give you the full ”Blackstar Experience”. Kitarablogi.com got the 50 Watts HT Club 50 head (current price in Finland: 591 €), as well as the Celestion-equipped HTV-412A cabinet (current price in Finland: 435 €) for reviewing. 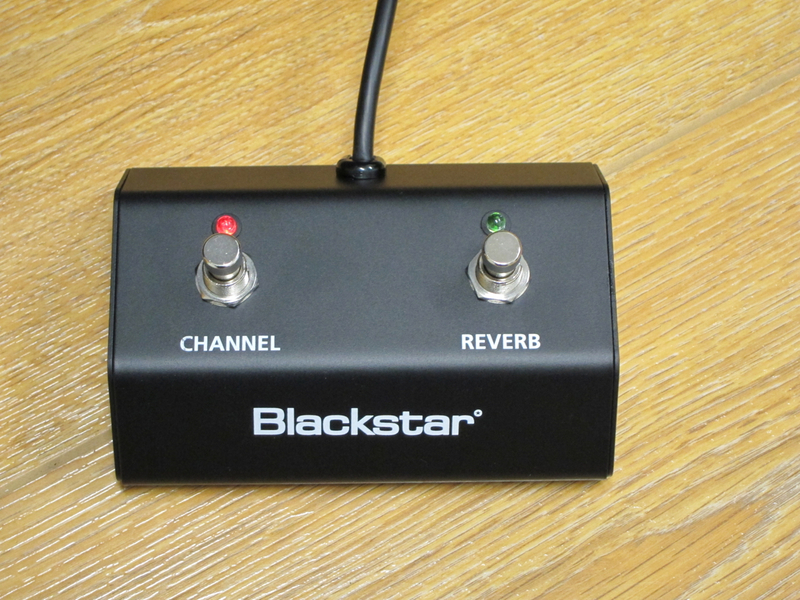 The whole Blackstar range is engineered in the UK, but built in South Korea. The Venue-half-stack looks very stylish, with somewhat more of a vintage-type charm compared to Series One models. Workmanship is top-notch – this gear clearly made to stand the rigours of the road. …but I feel that its practicality could be improved significantly with some skid-resistent material stuck to its underside. The head’s insides look very tidy, and the quality of the components used is reassuring. We find a pair of ECC83-tubes working in the HT Club 50’s preamp, as well as twin EL34s making up the power amp section, which steers performance expectations in a Marshall-ey sort of direction. 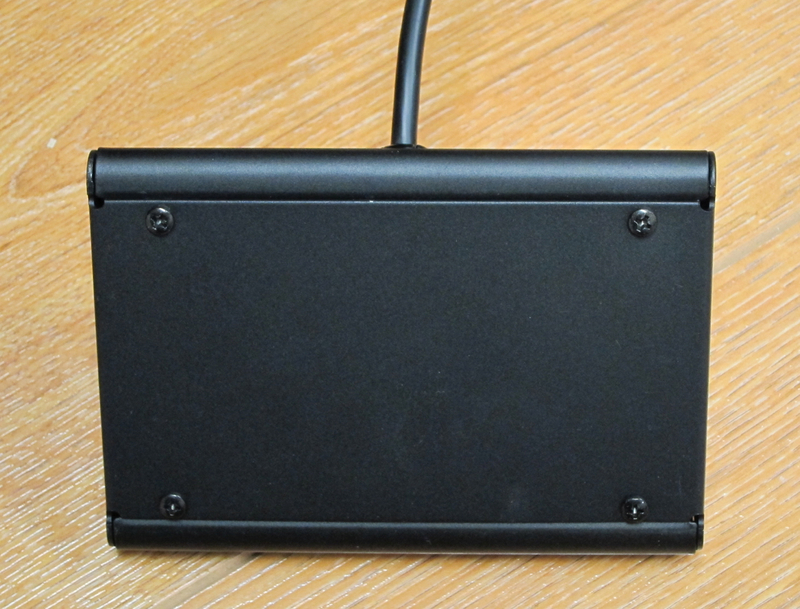 …as well as an excellent speaker-emulating direct output. The Reverb-switch offers you the choice between a full-bodied version and a leaner counterpart of the nice digital reverb’s offerings. Next to it there’s the effects loop. 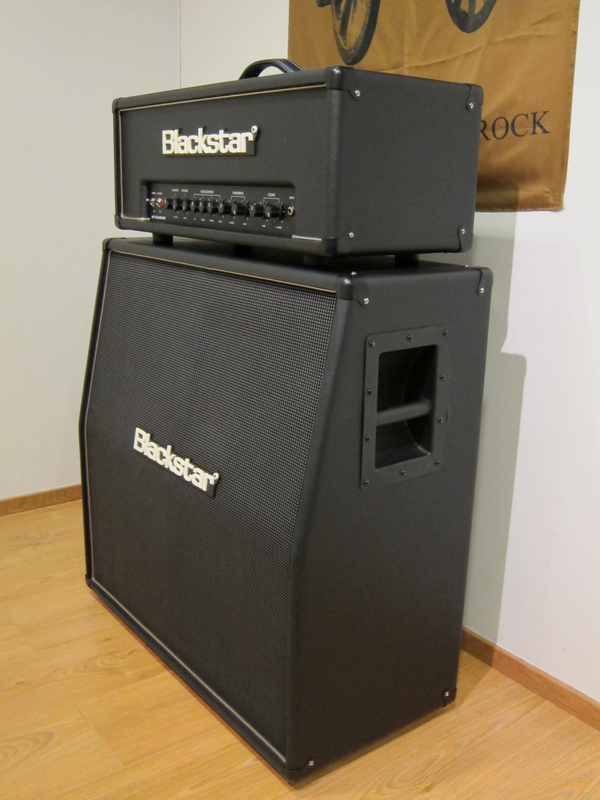 Blackstar’s angled HTV-412A cabinet can be run in mono or in stereo, the latter splitting the cabinet’s four 12″ speakers into groups of two. Modern Clean has headroom in spades and stays clean and transparent at virtually all gain settings, regardless of the guitar used. Boutique Clean, on the other hand, is a much more interactive beast, with some tasty sag, compression and even overdrive on offer, once you turn up the wick a little bit (or when using hot pickups). 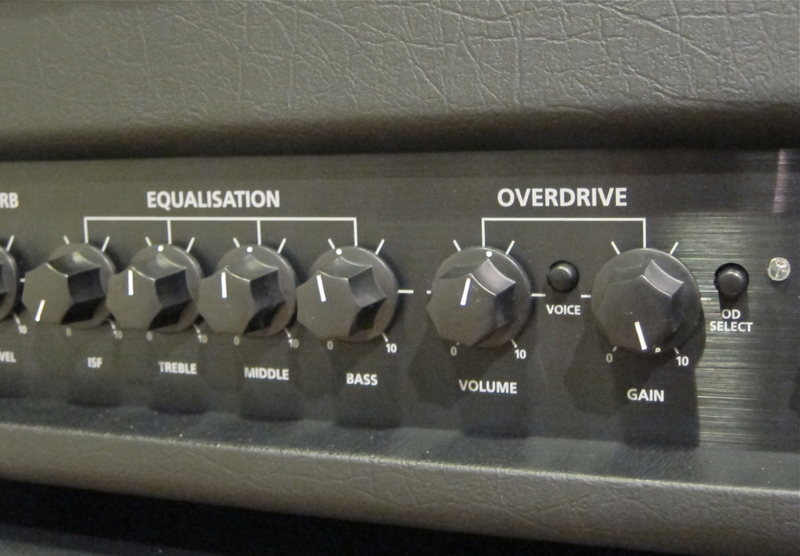 The Overdrive channel offers a bit more in terms of adjustability: Adding to the gain and channel volume knobs, it has a three-band EQ, as well as Blackstar’s ingenious ISF-control. ISF stands for Infinite Shape Feature. 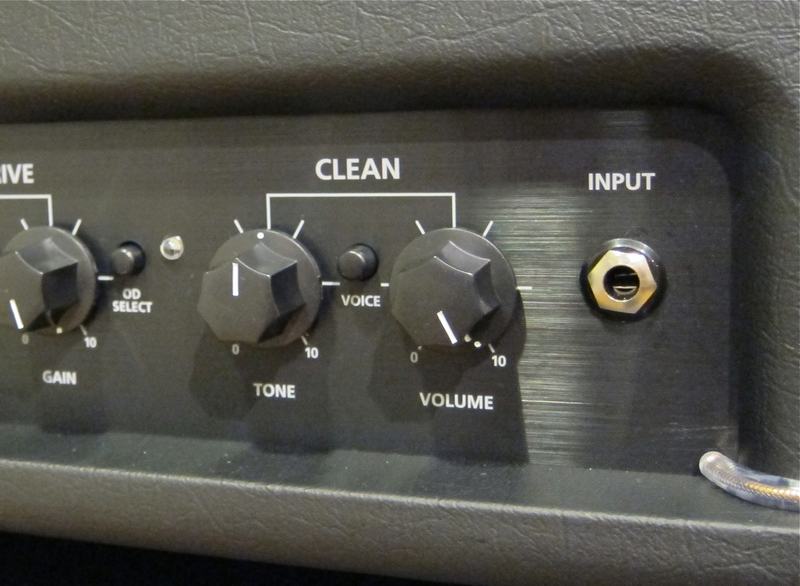 While the knob may have been placed together with the tone controls, ISF offers far more than a simple tone-tweaking. With ISF at zero the amp behaves like a typical US-style amp – there’s a tight bottom end, the attack is very precise and the tone has a light loudness-curve applied. 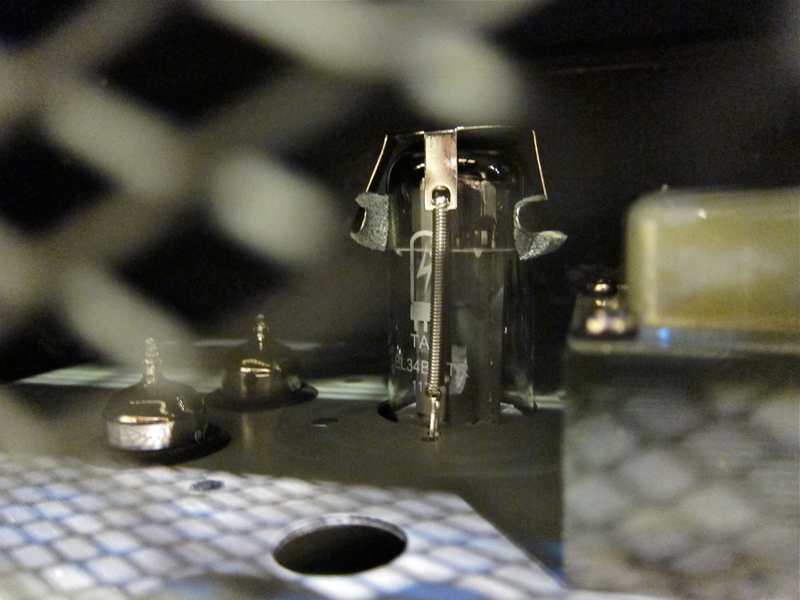 With ISF at ten the amp sounds significantly warmer with a crunchy mid-range and a healthy amount of softening sag at higher gain levels. When you keep in mind that the Overdrive channel also is equipped with its own Voice-switch – Classic Overdrive leaning towards typical Marshall-territory, and Modern Overdrive going the Rectifier-way – the options opening up before you are sheer endless and truly staggering. In my opinion Blackstar’s HT Club 50/HTV-412A half-stack is one of the best guitar amps out there at the moment, not even taking into account its relatively low price. It is quite rare to find an amp, which gives you great clean and overdriven tones from the get-go, without having to touch the EQ section first. Blackstar’s HT Club 50 is one such amp, where the EQ section is really only used for fine-tuning the tone, and not for rectifying the amp’s shortcomings. Yes, there are a few finer details where corners have been slightly cut (in comparison to a Series One head) to be able to achieve the HT Club 50’s keen price point, but it still gives you the genuine Blackstar-tones and -versatility, without any foul compromises. Due to its versatility this is one amp that’s hard to pidgeonhole into a one-trick pony. The HT Club 50 is a great choice if you appreciate versatility in a gig-worthy package. 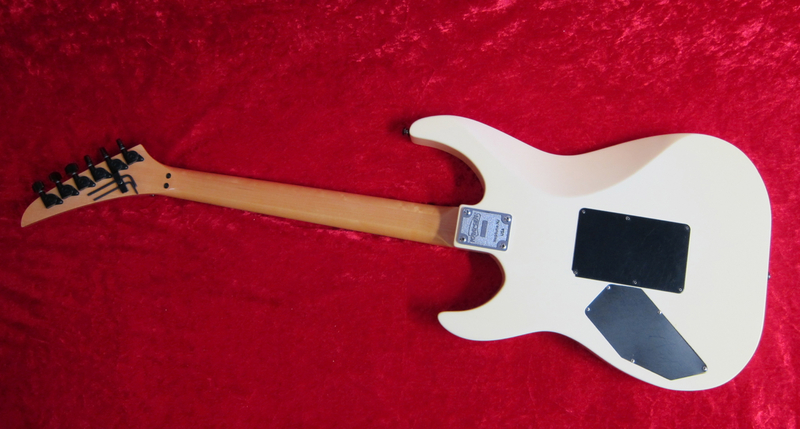 Still, most of us could, and probably should, try their hands at ”building” their own electric solidbody guitar or bass. I use the quotation marks here, because I’m not talking about building, as in ”raw wood”, but rather about assembling an instrument from prefabricated parts. 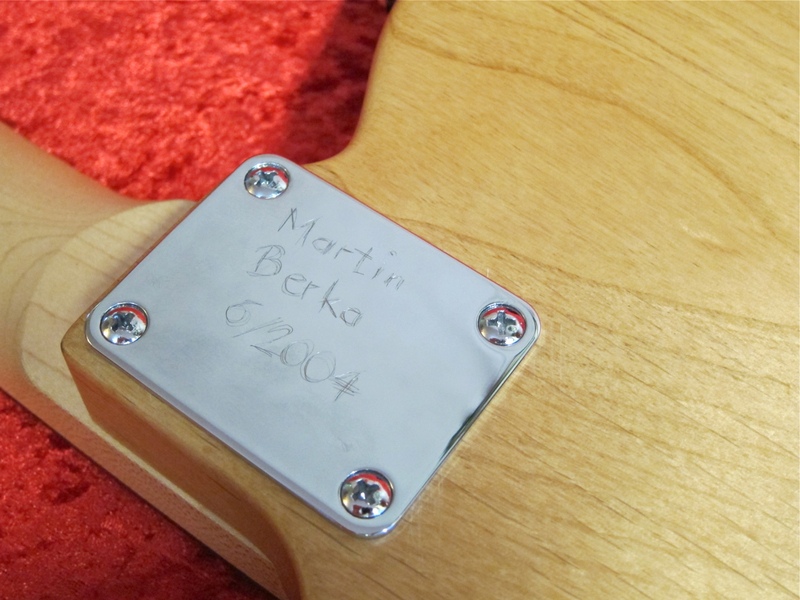 I assembled this guitar – let’s call her the ”Berka T” – in 2004. I specifically wanted to find out what kind of instrument you end up with using comparatively inexpensive parts. 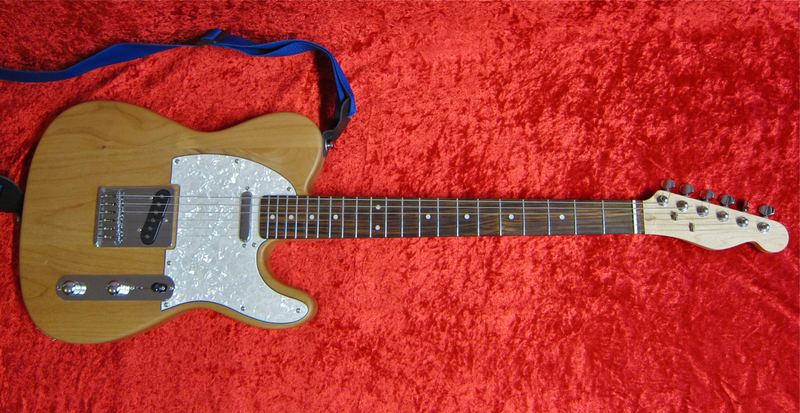 I got all the ingredients for the Berka T from SP-Elektroniikka in Oulu (Finland), aiming for stripped Tele-with-pearloid-pickguard-look in an oil and wax finish. 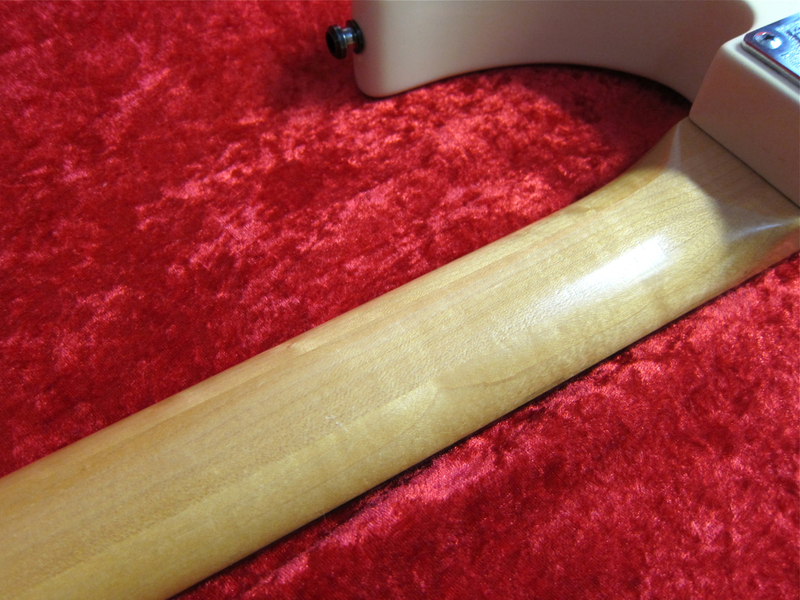 The body is a three-piece alder affair, with the pieces’ grain not really matched, which is absolutely normal at this price level. The shaping is OK and the routings reasonably clean. The only strange thing is that the treble facing side of the neck pocket doesn’t quite line up with the neck’s heel. 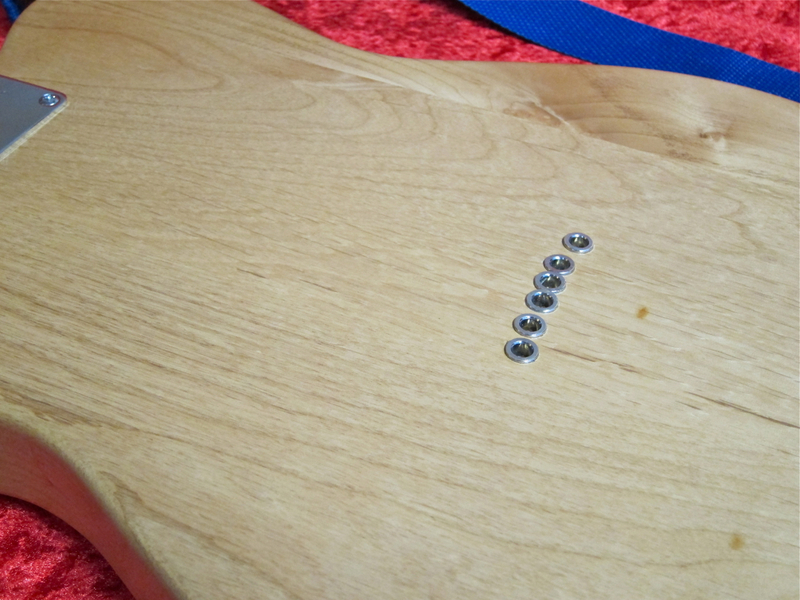 I nevertheless got the neck installed correctly, but things like these can happen when buying less expensive parts. 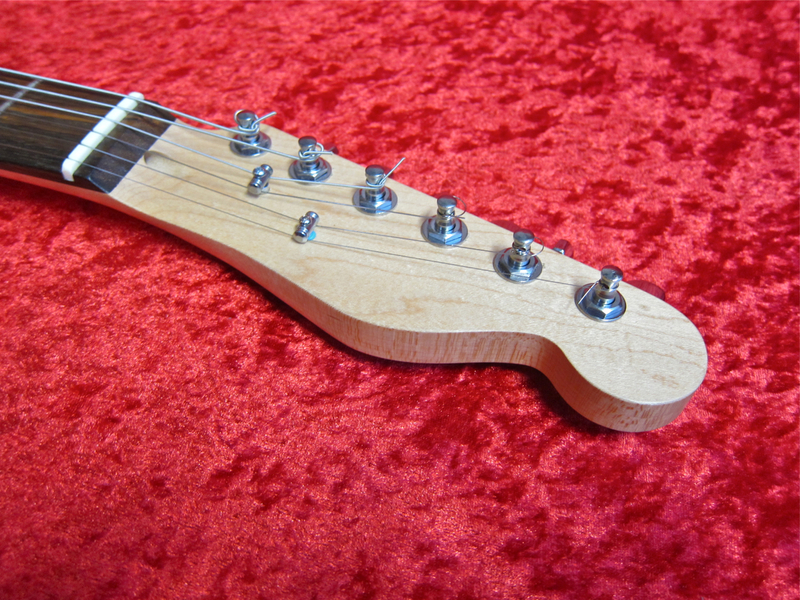 The neck is maple, which I finished with wax and oil, while the fretboard is made from a nice and lively piece of sonokeling. 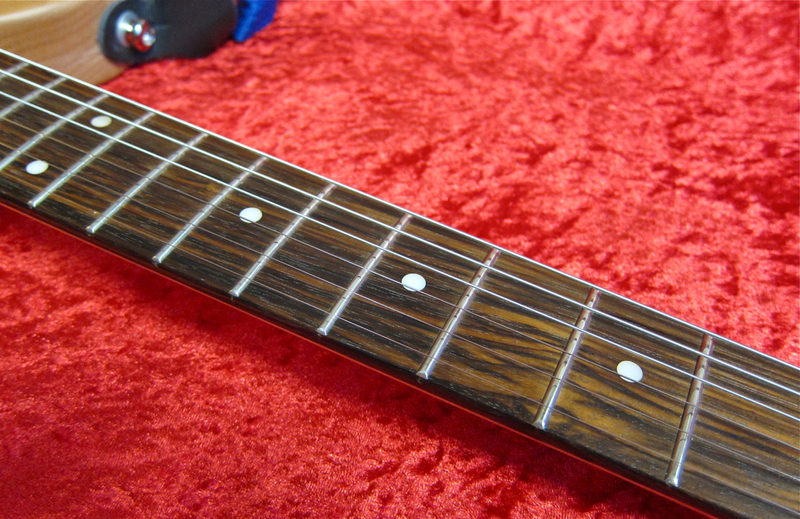 The ’board has a flat radius and medium-sized frets, which had been installed sufficiently well for a nice medium action. The neck has been mated to the body in time-honoured fashion via four screws and a steel plate. 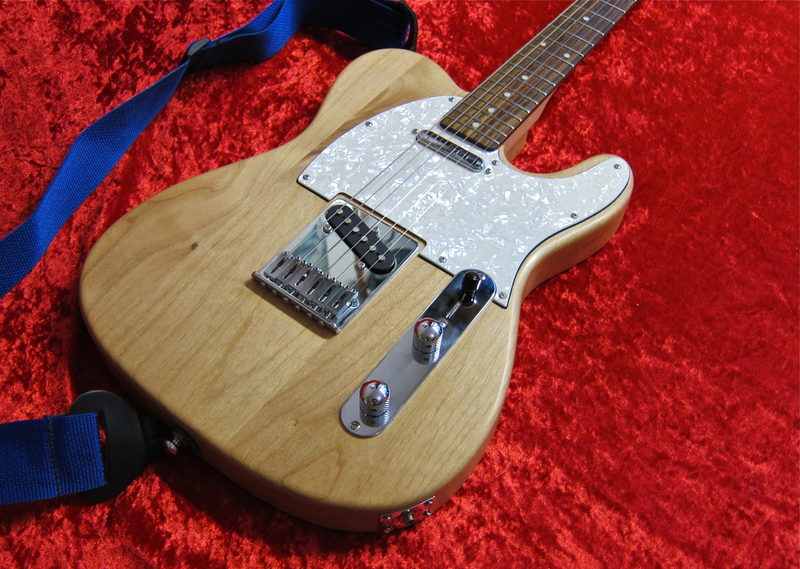 The bridge and pickups – all made by Gotoh – are decidedly non-vintage: The bridge features a thick base-plate and six separate saddles, while the singlecoil pickups are cheap units with ceramic bar magnets stuck to the bottom of their bobbins, instead of traditional alnico slug magnets. I had to file the bridge pickup’s top plate down by a tiny little bit, because it wouldn’t fit through the bridge otherwise. Again, not untypical when using inexpensive parts. This hadn’t been my first project, so I had no problems wiring and soldering the electronic components correctly. 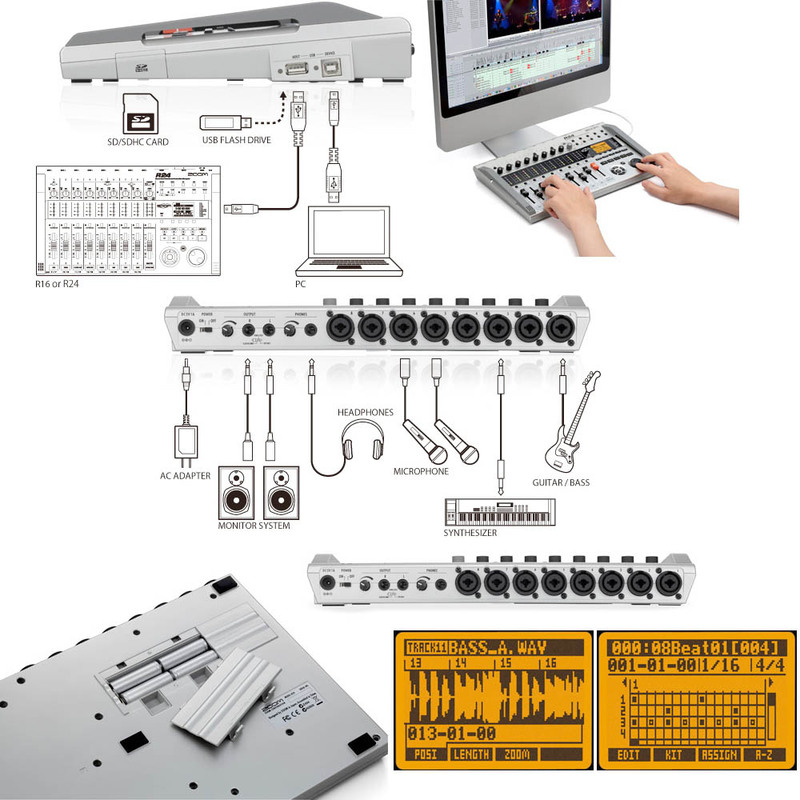 Some companies also offer pre-wired kits for the complete newcomer. The nice three-way switch was deeper than the body channel, so I had to gouge out a little bit of wood by hand to make the assembly fit the body. 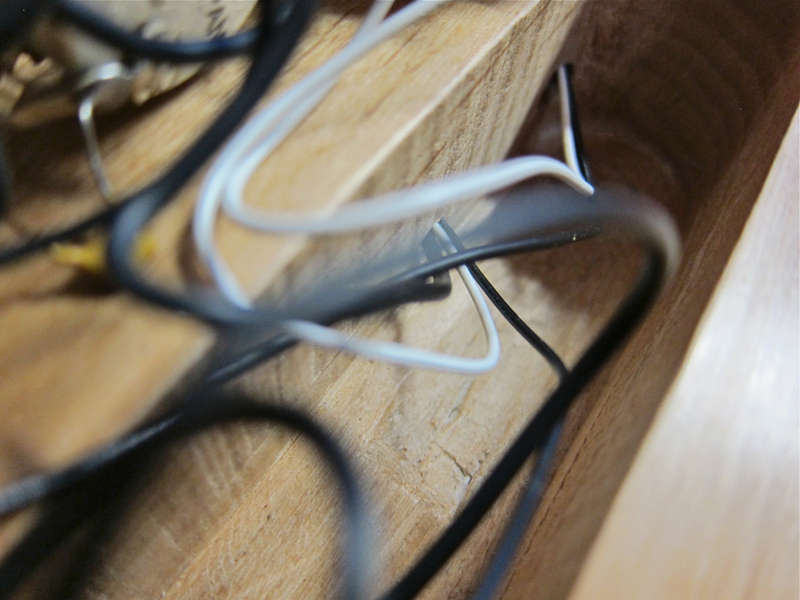 …but made a mess of a hack job of installing the string ferrules. Mental note: Do prepare a jig! Use a drill stand for drilling the holes next time! All in all, I’m rather satisfied with my Berka T! It cost a little over 300 € to make, and I learned a few new lessons during assembly. The guitar plays well, even though I would prefer a rounder and fatter neck profile. 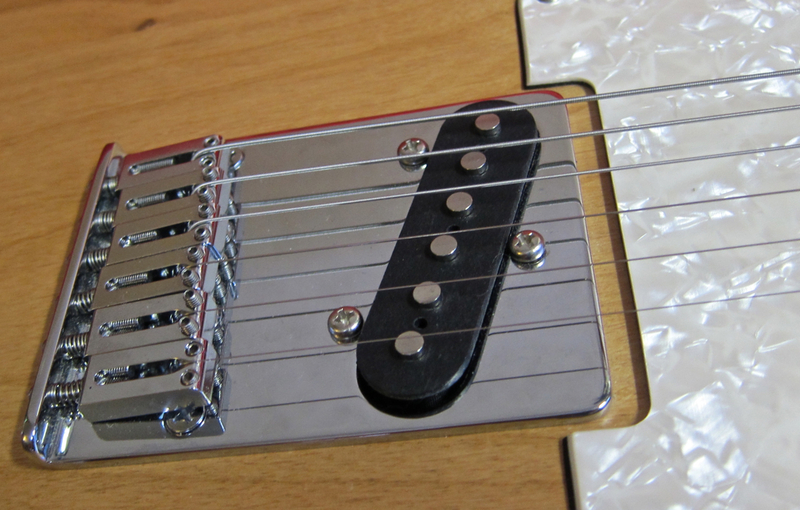 The cheap Gotoh-pickups sound surprisingly good – they’re a little hotter and fatter than a standard vintage-style Tele-set, but still have enough spank and quack to satisfy. Here’s a breathtaking version of Sweet Georgia Brown by Finnish Gypsy Jazz specialists Hot Club de Finlande. Ari-Jukka Luomaranta (rhythm-guitar), Ari Tarvainen (double-bass) and Olli Soikkeli (lead-guitar). Guests on this track are the inimitable Vitali Imereli on violin and the Netherland’s own Paulus Schäfer on lead-guitar. Rhythm guitarist Luomaranta is the creative genius behind AJL-Guitars, one of the top builders of Selmer-Maccaferri-style guitars in the world today. Check him out! Blackstar on yksi tämän hetken kuumimmista nimistä kitaravahvistimien keskuudessa. Alkuperäinen lippulaivasarja Series One on löytänyt tiensä monen ammattilaisen backlineihin erittäin terveen perussoundinsa ja monipuolisten muokkausmahdollisuuksiensa ansiosta. Myös pikkuiset HT-5 ja HT-1 -kombot laulavat nykyään jo monissa studioissa ja olohuoneissa. Blackstarin uutuus on HT-Venue-mallisto. Sarja tarjoaa hieman edullisempia vahvistimia, joista pitää kuitenkin lähteä se aito Blackstar-soundi. Testissä oli Venue-sarjan 50-wattinen HT Club 50 -nuppi (591 €) sekä neljällä 12-tuumaisella Celestionilla varustettu HTV-412A-kaappi (435 €). Englannissa suunniteltu ja Etelä-Koreassa rakennettu puolistäkki on erittäin tyylikäs kokonaisuus, jolla on Series Oneen verrattuna hieman hillitympi, vintage-tyylinen charmi. Työnjälki on erinomainen, ja sekä nuppi että kaappi on selvästikin suunniteltu ammattivaatimukset täyttäviksi. …mutta olisin mielelläni nähnyt sen pohjassa jotakin liukumista estävää materiaalia. Nupin sisäinen siisteys ja käytettyjen komponenttien laatu vahvistavat vaikutelman tämän putkilaitteen luotettavuudesta. HT Club 50:n etuaste on varustettu kahdella ECC83-putkella, kun taas pääteputkina toimii kaksi EL34-mallia. Liikutaan siis tässä suhteessa perinteisillä Marshall-vesillä. …sekä erinomaisen linjalähdön kaiutinsimulaatiolla. Reverb-kytkimellä voi valita luonteeltaan täyteläisemmän tai ohuemman digikaiun välillä. Myös efektilenkki löytyy takapaneelista. Blackstar HTV-412A -kaappia voi käyttää myös stereona. Modern Clean on putipuhdas, helisevä ja runsaalla headroomilla varustettu vaihtoehto, joka pysyy vankkaasti puhtaana volumen asetuksista ja kitaratyypistä riippumatta. Boutique Clean taas on selvästi kaksikon juurevampi tapaus, jolla volumen lisääminen – tai tehokkailla mikeillä varustetulla kitaralla soittaminen – johtavat kompressioon ja loppumetreillä myös soundin herkkullisen rosoiseen säröitymiseen. Overdrive-kanavan varustus on Clean-kanavaa runsaampi: Gain- ja kanavavolume-säätimien lisäksi on tarjolla kolmialueinen EQ, sekä Blackstarin patentoima ISF-säädin. Lyhenne ISF tulee sanoista Infinite Shape Feature. Vaikka säädin on sijoitettu EQ-osastoon, sen toiminta ulottuu paljon laajemmalle alueelle. Kun ISF on nolla-asennossa vahvistimen särökanava kuulostaa amerikkalaiselta vahvistimelta ja käyttäytyy sellaiseen tavoin – basso on hyvin tiukka, atakki on tarkka ja soundissa on kevyt loudness-tyylinen EQ-käyrä. Kun taas väännetään ISF:ää täysin auki ollaan keskellä brittiläistä meininkiä, jossa basso ja tuntuma ovat hieman löysempi ja keskialue on selvästi täyteläisempi ja lämpimämpi. Kun tähän lisätään vielä Overdrive-kanavan Voice-kytkin, jolla pystyy valitsemaan Marshall-tyylisen Classic Overdriven sekä Rectifier-tyylisen Modern Overdriven välillä, on selvää, että Blackstar HT Club 50:n soundivaihtoehdot ovat lähes rajattomat. Mielestäni Blackstarin HT Club 50/HTV-412A-yhdistelmä edustaa tämän hetken puolistäkkien aatelistoa, edullisesta hinnastaan huolimatta. On hyvin harvinaista, että vahvistimesta saa heti kättelyssä irti maukkaat puhtaat ja särösoundit, taajuuskorjaimiin koskematta. Blackstarin HT Club 50 on juuri sellainen harvinainen tapaus, jossa EQ:ta voi todellakin käyttää vain soundien hienosäätämiseen, eikä soundillisien epäkohtien korjailuun. Kyllä, vanha kettu huomaa HT Venue -sarjan ja Series One -vahvistimien väliset pienet erot, mutta HT Club 50 -nupiin on silti mahdutettu mukaan koko Blackstar-maailma ilman häiritseviä kompromisseja. Monipuolisuutensa ansiosta HT Club 50 on miltei mahdoton lokeroida, ja näin rajoittaa ainoastaan tiettyyn genreen sopivaksi. Puolistäkki on loistava valinta, kun tarvitaan monipuolista soundia järkevällä teholla myös hiukan isompia keikkoja varten. The Fender Jazzmaster was introduced in 1958 as a conscious effort to broaden Fender’s user base and appeal. The company’s first efforts – the now legendary Telecaster and Stratocaster models – had already proven to be successful, but were then still widely perceived as bright-sounding guitars for Country & Western, as well as early Rock ’n’ Roll. Now Leo Fender and his team were aiming for the more ”serious” guitarists of the Jazz and Easy Listening genres. 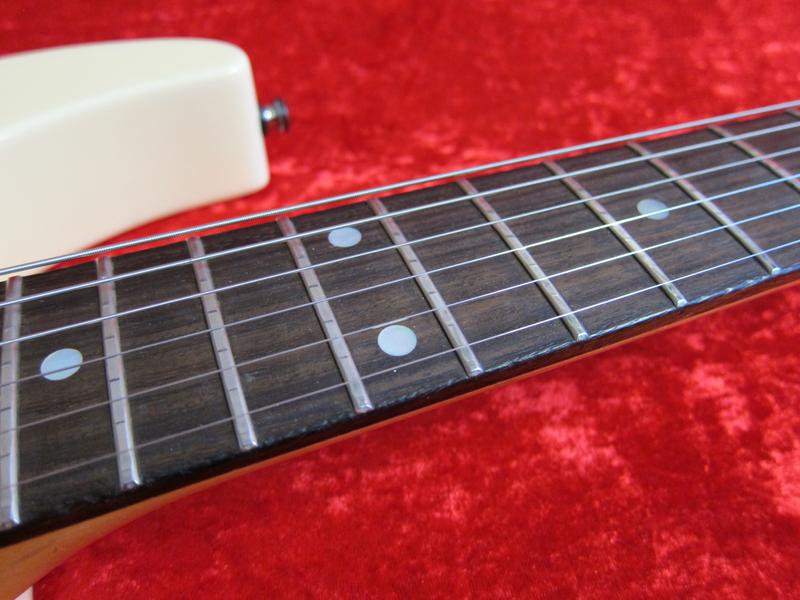 Fender kept the standard long Fender-scale (25.5″), but – for the first time – added a rosewood fingerboard. The reasons for the rosewood board were both cosmetic – it looked classier than the lacquered maple of previous models – as well for tonal reasons, with rosewood imbuing the sound with a warmer timbre. The Jazzmaster was also the company’s first guitar with an enlarged version of the Strat-headstock, which was meant to combat dead spots and wolf-tones. The body was a brand-new design premiering the company’s patented offset waist feature, meant to improve balance, especially when playing seated. 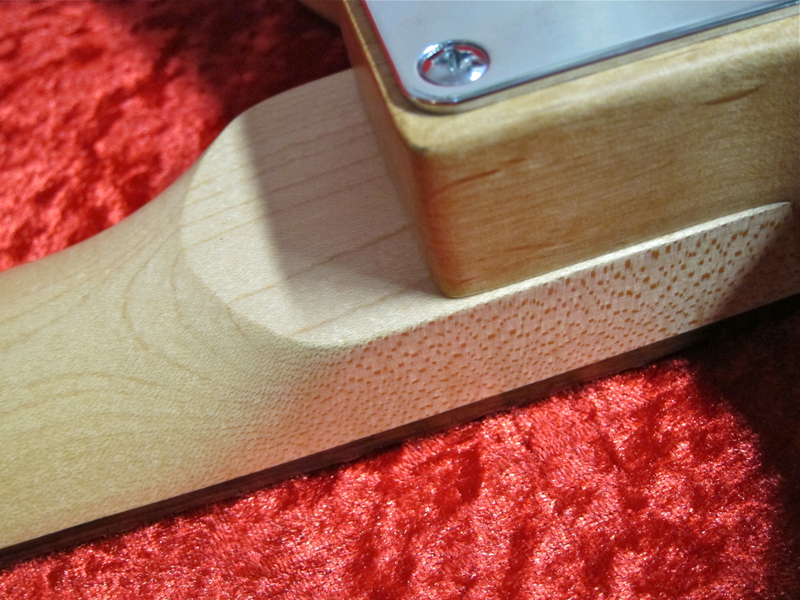 A new, front-mounted vibrato with a softer, spongier action (meant as a direct competitor to Bigsby’s models) was also devised. 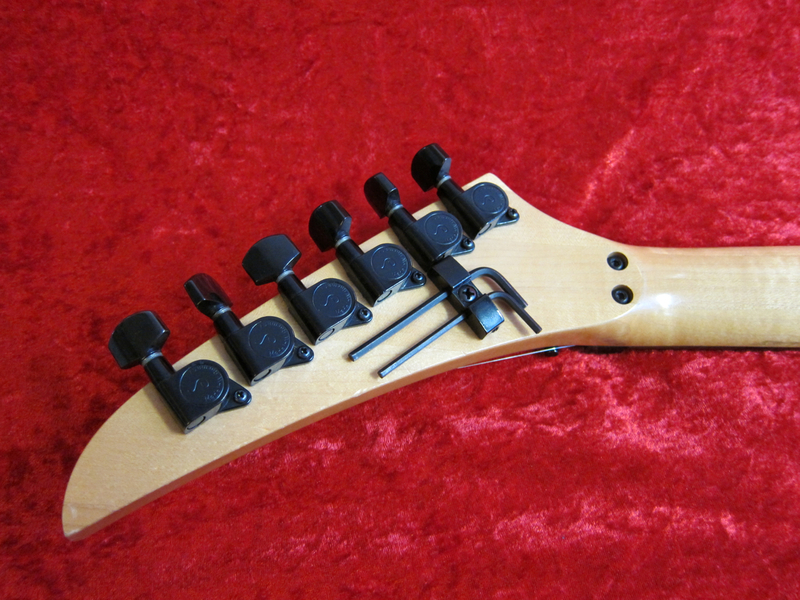 The vibrato – which worked with a separate, rocking bridge – was easy to adjust from the front, and also featured a locking mechanism for disabling the system (and keeping the guitar in tune even after a string breakage). The most important changes took place in the electronics of the Jazzmaster: The pickups were clearly Fender’s attempt at getting a Gibson P-90 -type tonality, with the wide and flat coils. The controls featured two different circuits, with the normal circuit offering a 3-way toggle switch, as well as a master volume and tone control. 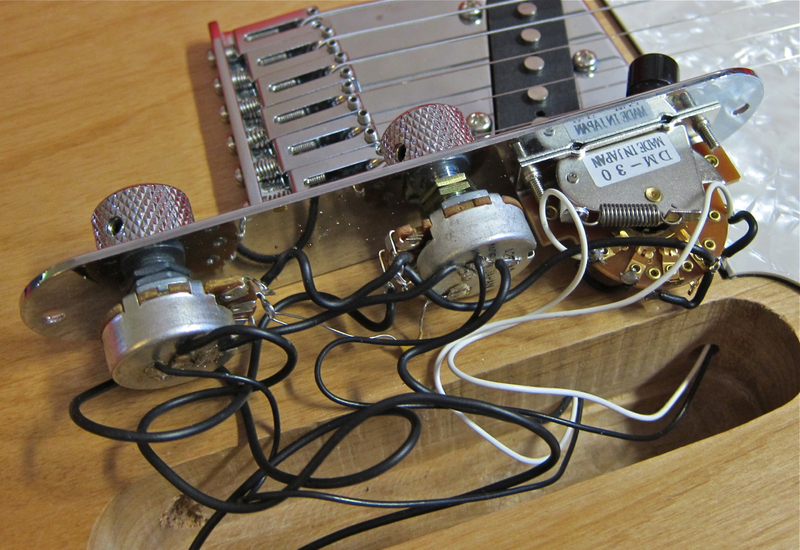 A slide switch on the scratchplate’s upper shoulder engaged the so-called Rhythm Circuit, which switched on only the neck pickup going through its own set of volume and tone controls (above the neck pickup). After a first wave of enthusiasm over Fender’s new top-of-the-line guitar, the Jazzmaster’s success sadly waned. Most conservative Jazz guitarists wouldn’t touch Fender’s ”plank” with a barge pole, and still considered the sound as too bright, while the company’s usual customers were perfectly happy with their more straightforward Strats and Teles. The biggest genuine problem with Jazzmasters lies in their singlecoil pickups, which take in a lot of extraneous hum and interference (just like P-90’s do). 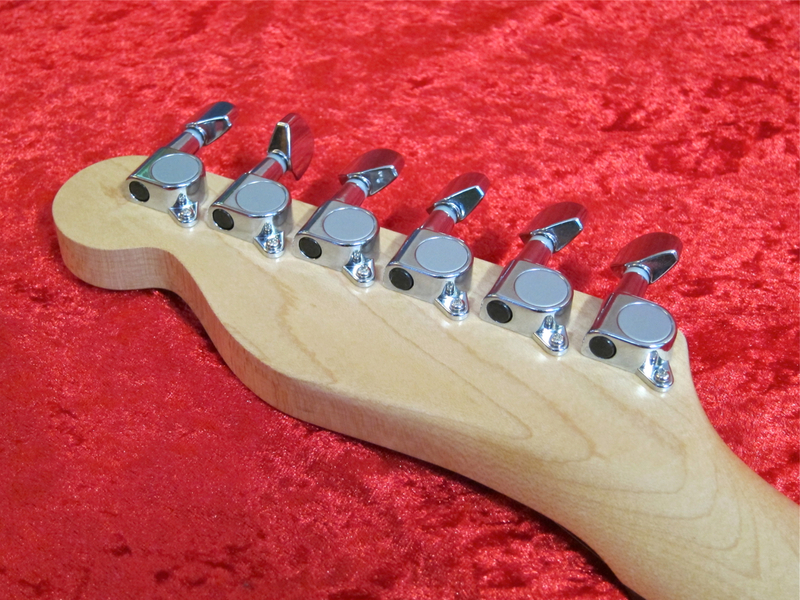 Modern players also tend to complain about the vibrato system’s flimsy bridge saddles, although, in fairness, one should note that this is mostly due to our modern light string gauges. The Jazzmaster-vibrato had been designed at a time when ”light gauge” meant an 012-set with a wound g-string. Thurston Moore and Lee Ranaldo (Sonic Youth), J Mascis (Dinosaur Jr.), as well as British songwriter Elvis Costello are the most well-known Jazzmaster players. In 1962 Fender took the Jazzmaster as the basis for a brand-new model, geared towards Surf and Pop guitarists – called the Fender Jaguar. 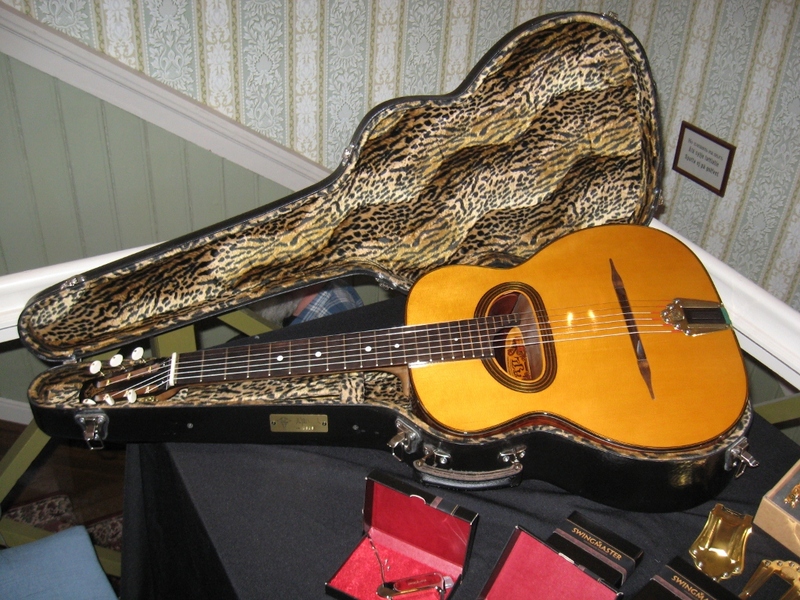 The Jaguar was Fender’s first guitar with 22 frets, and it featured a relatively short scale of 24″ (even shorter than Gibson’s usual 24.75″). The general look stayed in place, but the Jaguar was adorned with glitzy chrome control plates. Fender took the criticisms over the Jazzmaster-pickups to heart and designed new pickups for the Jaguar. 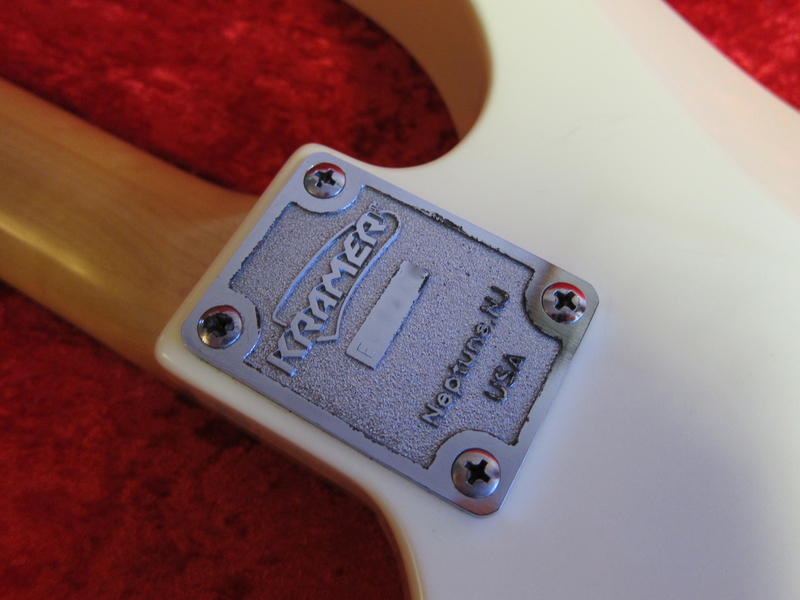 The new units are reminiscent of Strat-pickups, but feature slightly higher coils, as well as metal shielding plates that enclose most of the pickups’ bottom and sides. 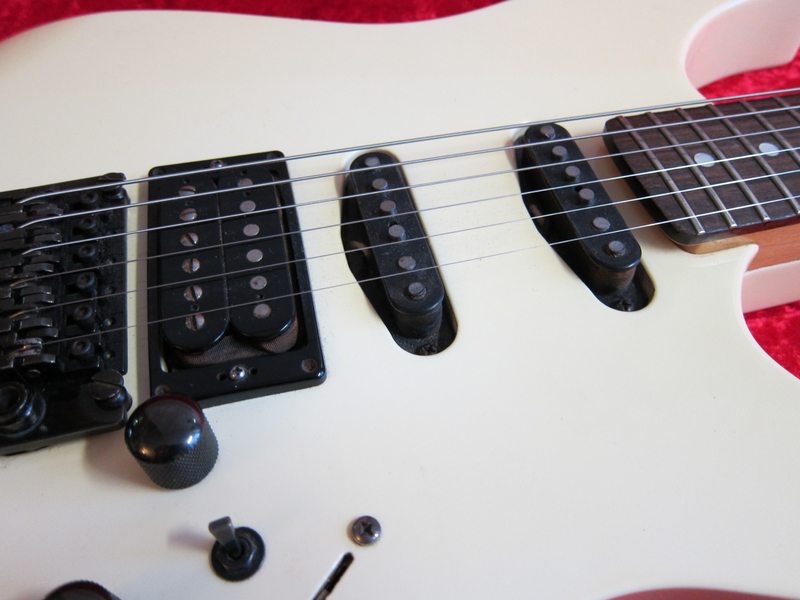 The normal/Rhythm-circuit set-up stayed in place, but the normal circuit now featured three slide switches – an on/off-switch for each pickup, plus a ”strangle” switch that cuts all bottom end from the output signal. The Jaguar originally also came equipped with a detachable mechanical string mute, which wasn’t well-received by guitar players. Sadly, the Jaguar’s fate followed along the Jazzmaster’s lines – after a first wave of success sales dwindled in the wake of the British Invasion. The most famous names associated with the Fender Jaguar are Carl Wilson (The Beach Boys), Kurt Cobain (Nirvana) and Johnny Marr (The Smiths, Modest Mouse). As with the Jazzmaster, the Jaguar has seen a resurgence of sorts over the past few years, with many new and modified versions springing up, such as the Fender Blacktop Jaguar HH. The Zoom R24 (current street price in Finland: 479 €) is a compact and very lightweight, but still quite nifty and versatile unit: The Zoom’s main purpose is to serve as a stand-alone digital multitracker (24 tracks, recording to SD-cards), but it can also be used with a computer as an external soundcard and/or a control surface for an audio sequencer (Cubase LE 5 comes included in the box). The R24 is ready to go wherever you want to use it, thanks to its ability to run on six AA-batteries, as well as with the included, compact power supply. This Zoom offers eight XLR/phone-combo inputs, which equals the maximum number of simultaneous recording tracks. Zoom have kept the R24’s signal routing deliberately spartan and easy-to-use. Each of the inputs is hardwired to its corresponding channel fader and from there on to the corresponding recording track. It’s what-you-see-is-what-you get, basically, but with one important twist. 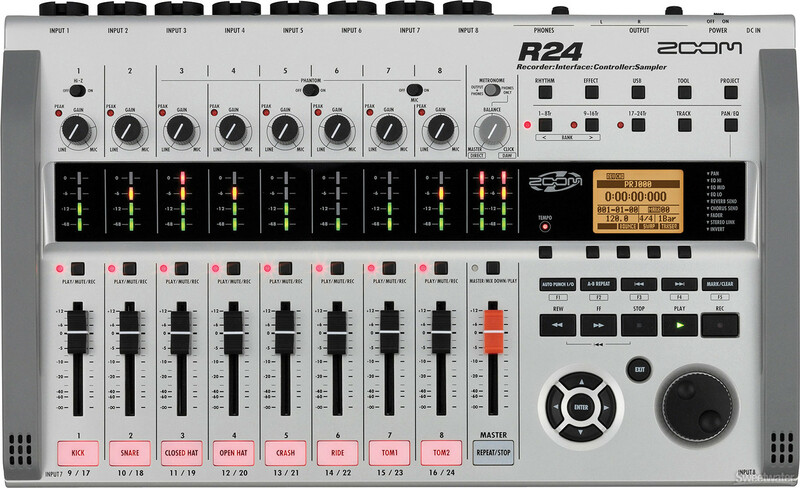 As the R24’s mixer deals with 24 tracks, but offers only eight faders, the unit uses the same type of channel bank system, which larger digital consoles also tend to employ. There are three fader banks (or fader planes) available for use: 1–8, 9–16 and 17–24. In the context of recording this means that each input signal can be assigned to one of the three tracks corresponding to its fader: Input 1, for example can thus be recorded either on Track 1, Track 9 or Track 17. The R24’s inputs have been equipped ith slightly different features: Input 1 is ready to take direct signals coming froma high impedance instruments, such as an electric guitar, in addition to line level signals. Inputs 3–8 offers switchable phantom power (48 or 24 Volts), while the signal off the built-in stereo condenser mics can only be routed to Inputs 7 and 8. But what happens if you want to record more than, say, three tracks of direct-injected guitar? No problem! The very handy Swap-button lets you swap the just-recorded track’s content with any other track you want. This means that while you have to record certain signals to certain tracks, you can then easily free up these tracks for new recordings. 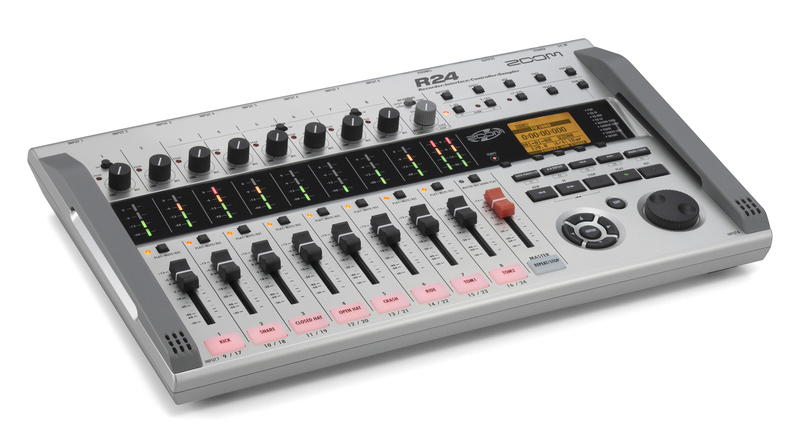 The Zoom R24 is filled to the brim with useful features: Each mixer channel has its own 3-Band EQ section, as well as two sends to the internal send/return-effect units (Chorus and Reverb). An extremely versatile insert-effect section holds a plethora of fine guitar and bass amp models (lifted from Zoom’s own G2Nu– and B2 effects pedals), as well as algorithms tailored to vocals, drums and keyboards, plus the very useful mastering section. The sound quality on offer is remarkable for a unit in this price bracket. It would be unrealistic to expect high-end pro-quality effects from what is basically a lower mid-price home recording device. But still, it is quite remarkable what quality you get in return for a modest outlay these days! As the heart of your own studio, the Zoom also makes it possible to build up loop- and sample-based backings. It is also equipped with a decent built-in programmeable drum machine. Editing, sampling and looping naturally feels a bit clumsy, when you’re used to grafic interfaces and a large computer display. 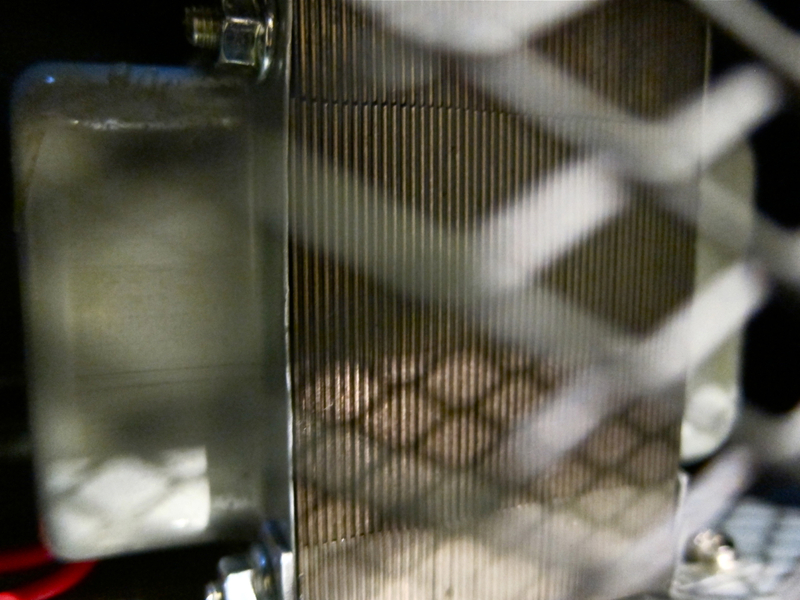 But with a little persistence and some elbow grease you can achieve astonishing results on a unit such as the R24. And as if the features so far hadn’t been enough already to make the R24 seem like a real bargain, Zoom is supplying Steinberg’s Cubase LE 5 -sequencer in the box, along with a usb-stick filled with great drum loops by Peter Erskine and Big Fish Audio. The Zoom R24 is a handily-sized and advantageously-priced little 24-tracker, that will be perfect as you personal demo-machine, or for cutting decent recordings of your band’s rehearsals or gigs in a jiffy. The recording can the be mixed and mastered either internally in the R24 or using and audio sequencer (like Cubase). And if one of your bandmates happens to own his/her own Zoom R24, you can even slave one machine to the other, and record a whopping 16 tracks simultaneously! Stratocaster-tyylinen runko, Gibson Explorerista lainattu lätkämailan muotoinen lapa, tallahumbuckeri, sekä Floyd Rose -vibra. VintageKramer-sivuston mukaan tämä Pacer Custom II on American-sarjan kitara vuosilta ’87 –’89. Alun perin (1970-luvun loppupuolella) Kramer-kitaroiden erikoisuus oli alumiinista tehty kaula. 1980-luvun loppupuolella firma oli siirtynyt kuitenkin takaisin perinteisiin puukauloihin. Kaulat ja rungot ostettiin yhteistyökumppaneilta – Pacer Custom II:n tapauksessa Japanista ESP:n tehtaalta – mutta soittimet koottiin USAssa käyttäen firman omaa elektroniikkaa sekä aitoja Floyd Roseja. Sulava runko on tässä kitarassa poppelista, kaula vaahterasta ja otelauta palisanterista. Tässä versiossa lapa on Kramerin teräväkärkinen malli. Palkkimainen alasvedin pitää kielet tiukasti lukkosatulaa vasten. Paksut nauhat ja loiva otelauta kuuluvat nekin Superstr*toon – silloisen sankarikitaristin työkaluun. …ja se liitetty runkoon perinteisellä tavalla ruuvaamalla. Vaikka Floikalla varustetussa kitarassa lavan virittimet käytetään ani harvoin, ovat nekin Pacer Custom II:ssa aitoa laatutavaraa saksalaisvalmistajalta Schaller. USA-Floydin kuusiokoloavaimet on hyvä pitää aina mukanaan, sillä ilman niitä kielten vaihtaminen ei onnistuu. Custom II:ssa on kaksi yksikelaista mikrofonia sekä yksi humbucker tallan lähellä. Säätimet toimivat kuten normi-Stratossa – master volume, kaulan tone ja keskimikrofonin tone-säädin. Minikytkimellä saadaan kolme erilaista kytkentävaihtoehtoa tallamikrofonista: perinteinen humbucker (sarjakytkentä), yksikelainen (vain tallan puoleinen kela) sekä kirkkaampi humbucker (rinnakkaiskytkentä). Tämä kitara on mukavan kevyt soitin. Kaulan profiili on silloiselle vauhtikitaralle tyypillinen hyvin laakea ”D” – mikä on minulle hieman liian ohut ja leveä – mutta tämä Pacer on loistavassa trimmissä. 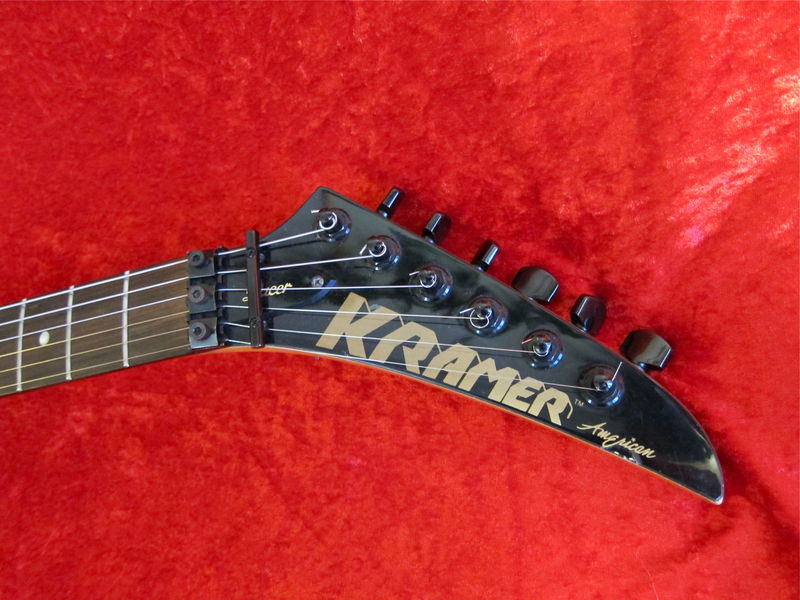 Kramer Pacer Custom II on vanha laatukitara – ulkonäkö voi olla hieman vanhentunut, mutta sen soitettavuus ja soundi ovat vielä täysin ajankohtaiset. Kiitos Tommi Posalle, jolle tämä Kramer kuuluu!